I thought that I would do an email to you to just give you a final summing up of how we went with your piece One Word Macbeth. The costumes for all but Macbeth were just one simple thing to show the character – Banquo for example had a tartan sash. Macbeth was a full costume. There was lots and lots of running for the cast! We are filming the showcase performance and we will get you a copy of it, so you can see for yourself how we did it. 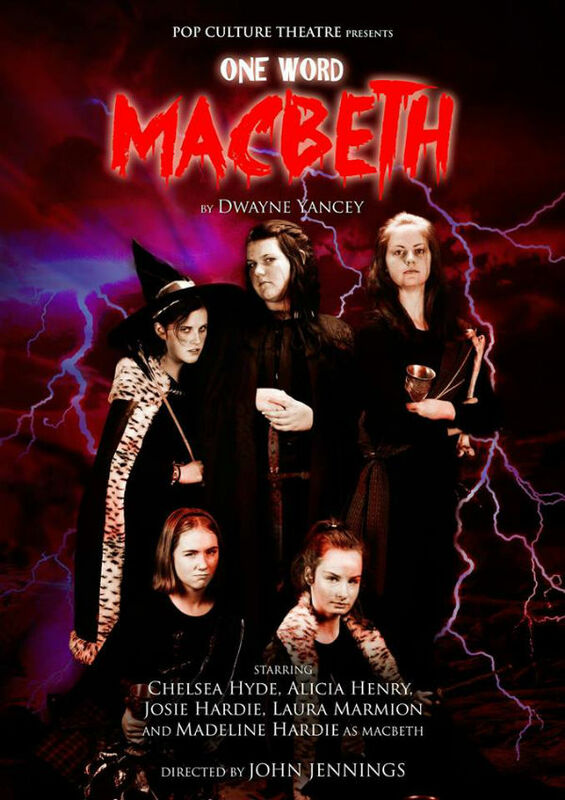 You work inspired the girls to learn Macbeth, to ask questions about Shakespeare and to suddenly bring the words of the Bard to life to them because it wasn’t just sitting in class and reading. It was a fantastic tool to teach them the importance of words and inflection, a very important lesson that they will now carry with them through their performing lives. There’s one more performance of the show — October 17 at the Knox Community Theatre in Bayswater, Victoria. This entry was posted on September 9, 2015, 11:32 pm and is filed under News, Productions, Reviews. You can follow any responses to this entry through RSS 2.0. You can leave a response, or trackback from your own site.